This is technically Light Armor, but because it does not have the ArmorLight keyword, you can wear it without disabling the Mage Armor perk. It will count as valid helmet for either the Custom Fit or Well Fitted perk. On the wood chopping block outside to the north-northwest of Froki's Shack, you can find a Diadem of the Savant, which respawns. 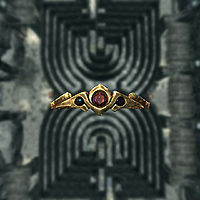 It is possible this was a mistake, as the Creation Kit specifies that the diadem was meant to be a reward for completing Shalidor's Maze. This item cannot be improved at a workbench. This issue has been addressed by version 1.1 of the Unofficial Skyrim Patch; Now uses a Gold Ingot for tempering. It doesn't have the 'ArmorJewelry' keyword set like other circlets.